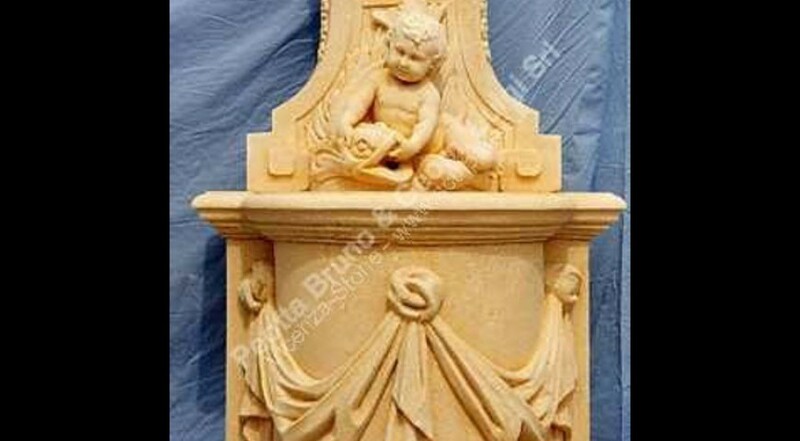 A carved stone wall fountain with several decorations. The coping with drapes detail on the front and each sides, a wall cherub with dolphin carved on the back in a unique piece. On the back in each sides carved flowers and leaves decoration, on the top a carved stone shell. Classic Italian style, roman origin design. Antique origin, used in several Veneto Palladio Villas. Dimensions: Height 60" x Width 33" x D. 24"